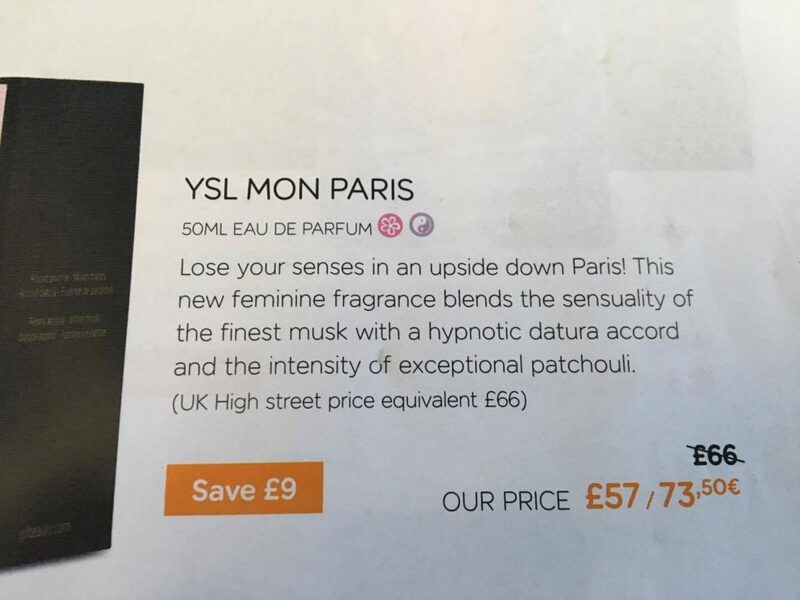 A couple of days ago, I was flying between Biarritz and Paris on an Easy Jet flight and picked up their onboard duty-free catalogue and thumbed to the perfume section. Years back during the dawn of social media, I used to use MySpace with my brothers for one main reason: to make fun of perfume ads. My brothers would post a random photo and then some fake ad copy. “Rugby Man: the timeless fragrance of flexing buttocks in tight shorts.” Or maybe “Captivate: the smell of a grizzly bear wrestling with an existential crisis.” Or more accurately, those were the kinds of descriptions I started posting underneath random photos. Theirs were funnier. I was reminded of this when I started reading those catalogue descriptions. I couldn’t figure out at first if it was terrible original copy, or terrible translation. Finally I decided it had to be bad translation. There was no way a professional ad writer would have come up with this in native English. And mysteriously, not all the ad copy was terrible: some was completely normal. In fact, most of it was. With a few exceptions. The bottom line: somebody should seize the opportunity to pitch localization services to Easy Jet. “The comeback of a flamboyant and asserted masculine seduction” made me laugh out loud. Maybe the subtext is that the 1980s are back in town. 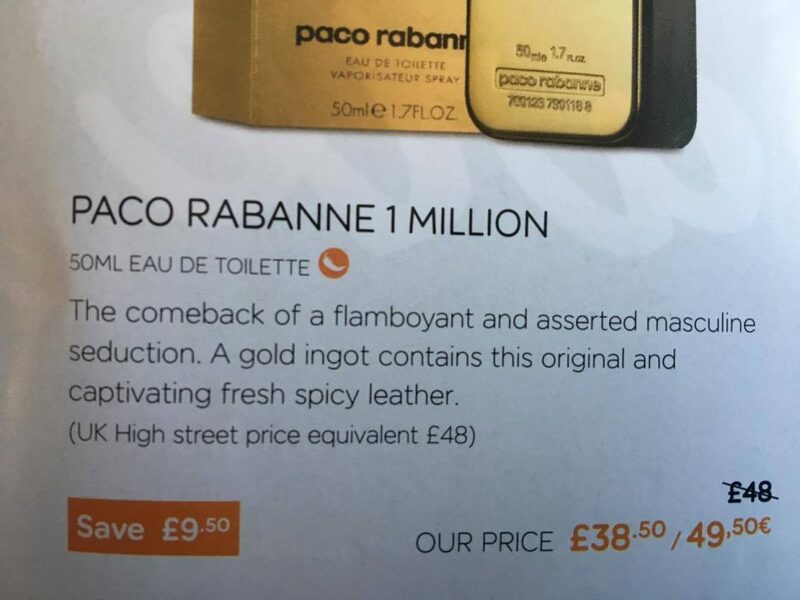 I didn’t know “flamboyant and asserted” masculine seduction had ever been a thing, let alone that it had left to return in the form of a spicy leather gold ingot. 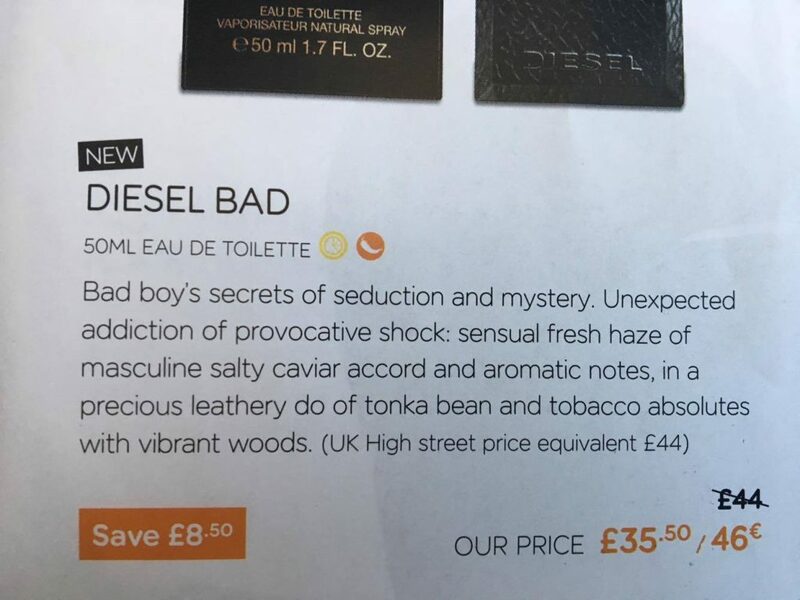 This one just made no sense; it’s a jumble of all the most popular perfume words tossed in a particularly bad (boy) word salad. Also, what is a “do” (noun) aside from a hairstyle? I’m not sure if it has the same connotations everywhere, but where I live, patchouli is often regarded as the scent of unwashed hippies. Maybe that’s why Paris is upside down? Hippie sweat is chic now?